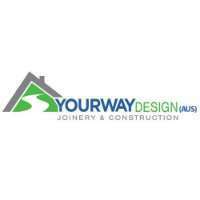 YourWay Design is a premier manufacturing company in Revesby that specialises in custom, joinery and construction such as bathroom renovation, remodelling, waterproofing and much more. YourWay Design is the best kitchen renovation in Revesby that specialises in custom joinery and construction. e pride ourselves on the quality of our workmanship, our timely delivery, and our exceptional customer service! YourWay Design also offers bathroom renovations, joinery & fitouts, and Built-in Wardrobes. We are not limited to manufacturing kitchens and custom built-in wardrobes, we even supply and install modern kitchen designs and conduct bathroom renovations and retail shop fit-outs. Our projects range from entertainment units to full-scale kitchens and even office fitouts such as counter desks, boardroom tables etc. No matter how big or small of a job we have the right know-how and expertise you need to get the project done on time and on budget. We work on brand new homes, private renovations and in retail shop fronts and offices, working with owners/builders/designers and architects Sydney Wide – our quality workmanship is always duly noted and everyone we have worked with will attest to that. For reliable and high-quality kitchen renovation in Revesby contact YourWay Design today! We are a manufacturing company that specialises in custom joinery and construction, we pride ourselves in the quality of our workmanship, our timely delivery and our exceptional customer service!